Christmas cookies are a highlight of the holiday season at my house, but packaging is half the fun! This year I’m doing snowball theme bags and inside I’ll tuck Russian Tea Cakes, which my family has always called Snowball Cookies. 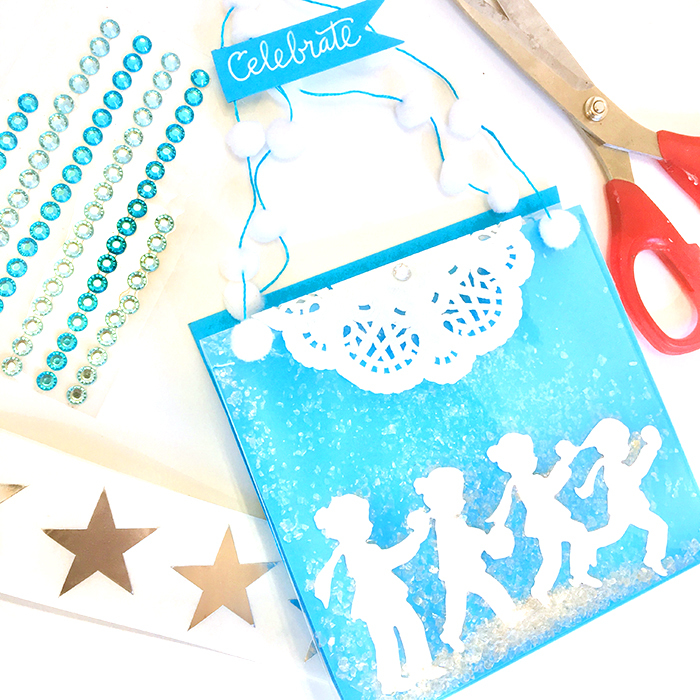 This project features my Snow Ball die from the Holiday 2017 collection. Using a 5 1/2” X 11” piece of card stock, fold old horizontally at 5” and again at 6” from top, forming the cookie bag. 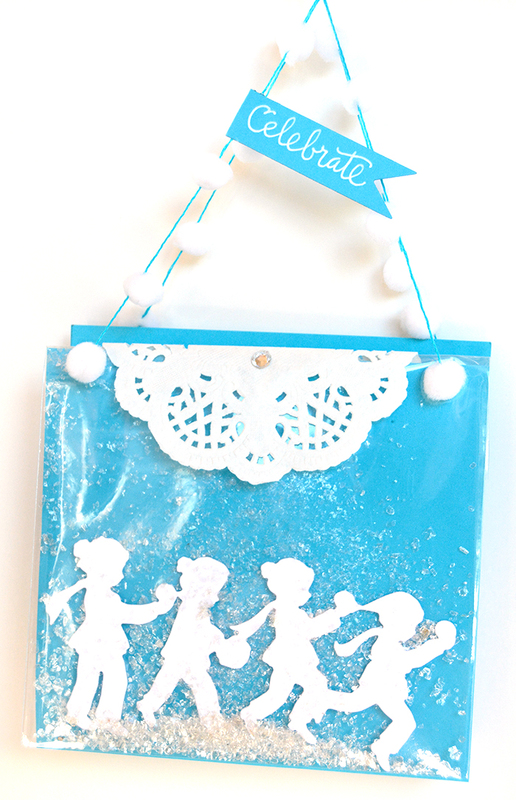 Put a die cut and a bit of mica glitter in a clear plastic bag. Fold top over. Glue to top of the cookie bag. Seal a few cookies in food safe clear plastic bag and staple or glue to the back of cookie bag, using a small folded doily and other embellishments of your choice. Make a pair of small handles using embroidery floss and tiny white pom poms and attach as shown. Cut cardstock to 5 1/2” wide X 11” tall. Fold horizontally at 5” and again at 6” from top. 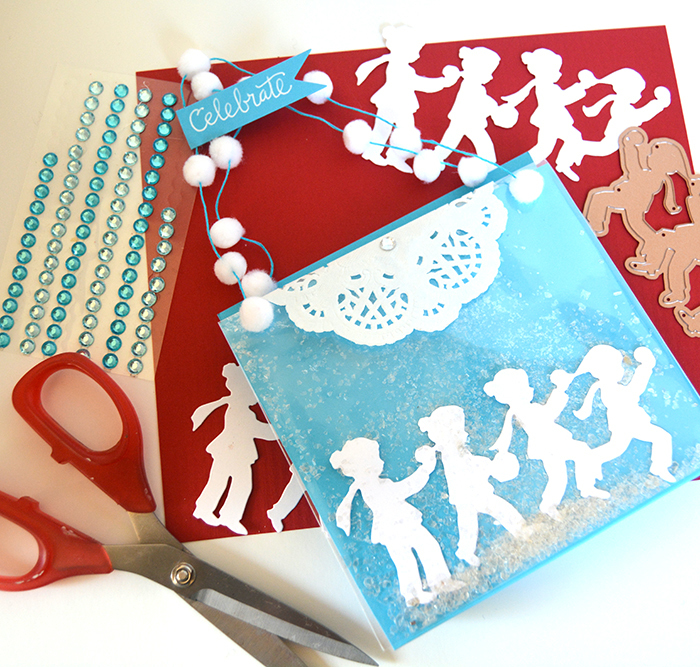 Die cut one of the snowball kids images. Place in a clear plastic bag, along with a bit of mica glitter. Fold top over and glue to top of cookie bag. Set aside. Using a 10” piece of embroidery floss, stitch through small white pom poms to form a handle, and attach to top of front of cookie bag. Trim excess thread. Repeat for the back side. Bake Snowball Cookies (also known as Russian Tea Cakes.) If you don’t have a family recipe for these delicious morsels, you can find one here. Place a few cookies into a food safe clear plastic bag and staple top to the inside of the cookie bag, covering with a small folded doily. 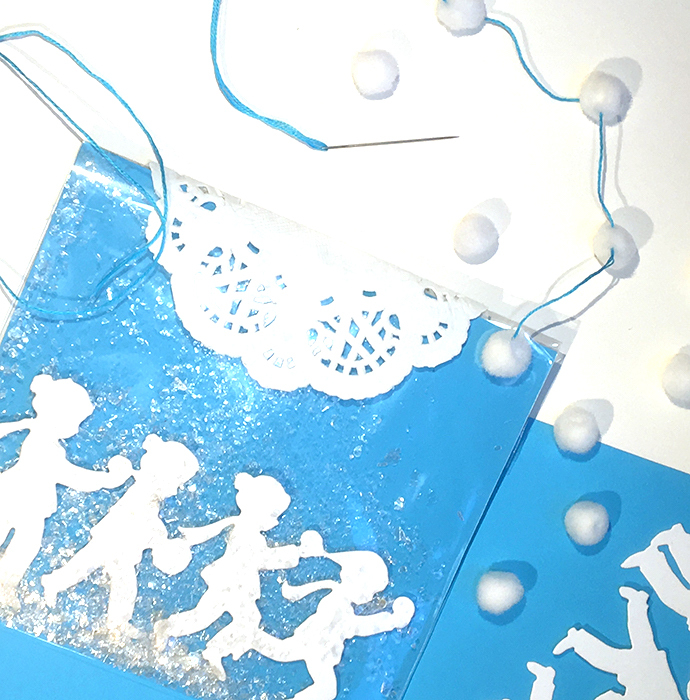 White cardstock, clear plastic bags, stapler, tiny pom poms, embroidery floss, embellishments of your choice. Thanks, Beverly! Glad you like it.